Hey music lovers, it’s Andy Gesner and the staff from HIP Video Promo! These days, lots of bands are incorporating exotic elements into their recordings. Sonic globetrotting has become a mark of imagination and a badge of courage, and critics have rightly praised songwriters with visions that transcend national and continental borders. But when you look closely at how some of these groups assemble their songs, you often can’t help but notice that the multiculturalism is pretty superficial. The members of Juno Reactor, on the other hand, are no dilettantes – they’re sonic explorers with deep roots in international club music. JR was one of the pioneering acts of the hypnotic and psychedelic Goa Trance, a musical movement at the intersection of Eastern and Western cultures. For more than a decade, Juno Reactor’s Ben Watkins has been fusing techno, disco, Indian and African music, rock, folk, and tribal beats to create a sound that’s entirely singular, and unmistakably theirs. It’s wide-screen and Technicolor, too – perfect for scoring action. For years, Watkins has composed soundtrack music for video-games and films: Appropriately for such a mind-bending project, his music was used during some of the most intense sequences of The Matrix Reloaded. Much of his work for the Matrix franchise appeared (in a slightly altered form) on Labyrinth, Juno Reactor’s 2004 release.Gods & Monsters, the latest, features two songs that originally appeared in the Matrix: Path Of Neo video game. So don’t be surprised if cuts from this bold, multifaceted, and genre-straddling album end up on a silver screen near you. “Inca Steppa”, the lead track and lead single from Gods & Monsters, might be the best realization of Watkins’s ambitions yet. The terrific club beats are, as always, right there underpinning the track – any act that has landed a song in Dance Dance Revolution knows how to move the crowd. But there are also primal drums, Mesoamerican instruments, tribal chants, hard rock six-string, and even a wigged-out surf guitar break. It is, without a doubt, one of the most unusual songs we’ve heard this season – or any season – and it’s certain to shake up minds and asses at the same time. 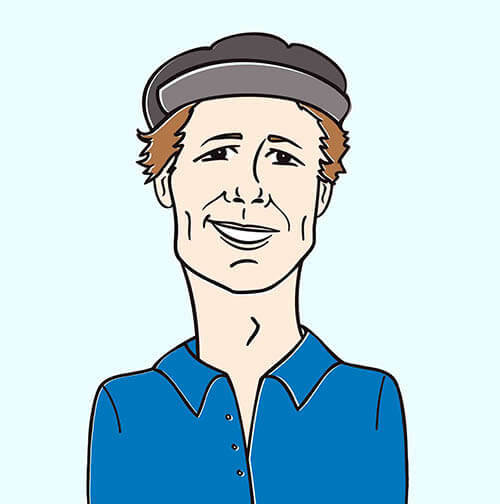 Ben Watkins not only scores films, he makes them, too, and it’s his multicultural vision that animates the “Inca Steppa” clip. The Juno Reactor iconography has always been coherent and striking, and Watkins deployment of symbols is masterful. He gives the audience masks and native dances, wild costuming, crazy skies and deserted mountaintops – and it all comes fast, in a blur of evocative signifiers. The footage is treated like vintage video: saturated with bright color, psychedelic, and primal. This is the spirit of Goa trance captured on film – energetic, weirdly thrilling, busy erasing borders, bending minds, playing with culture. It is our distinct pleasure to be working with Dave Heckman and the team at Metropolis Records to promote the new video from Juno Reactor. They have also been kind enough to provide a healthy supply of the CD Gods & Monsters, so don’t hesitate to get in touch for your on-air giveaway needs. If you need more info, call Andy Gesner at 732-613-1779 or e-mail us at HIPVideo@aol.com. 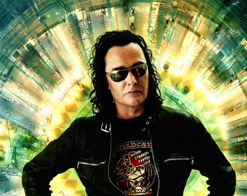 You can also visit www.Metropolis-Records.com, or www.ReactorLeak.com to find out more about Juno Reactor.